Above: Gianfranco Soldera, legendary, enigmatic, and paradigmatic winemaker, a Trevisan farmer turned Milanese industrialist turned Montalcinese winemaker. Anyone who’s ever had the good fortune to be invited to visit Gianfranco Soldera’s estate, Case Basse, in the southwestern subzone of the Brunello appellation will surely share my impression that his winery, vineyards, and contiguous botanical garden come together to form what is undeniably one of the most impressive estates in the world. When he began looking for an estate to purchase in the early 1970s, the Piedmontese wouldn’t sell him a decent plot of land, he told me the other day when we visited. So he decided to to buy a parcel in Montalcino on the advice of a friend who had told him you could pick up a piece of land there for a boccon di pan, a mouthful of bread, in those days. Above: The botanical gardens at Soldera’s Case Basse include a swamp (to create a maritime influence) and a white flower garden (to encourage nighttime pollination). “Ah, the white flower garden,” remembered wistfully my friend Dr. Lawrence O, the other day when he spied my visit on Facebook. Lawrence has visited there, of course. When you talk to winemakers in Langa (Piedmont), many of the current generation still look to Soldera as a doktorvater (like Beppe Rinaldi, who told me that he often seeks advice and guidance from Soldera when the elder visits Barolo). In many ways, it’s as if Soldera, when faced with the fact that he couldn’t make wine in Piedmont where he so obstinately desired to do so, decided to construct his own microclimate within the Brunello macroclimate. As he explains very openly, the remarkable botanical garden on his property (manicured by his wife) creates a unique ecological balance of plant and swamp life, including the “white flower garden,” so famous among wine insiders, intended to encourage pollination at night because the bright peddles attract the insects in darkness. Above: “You find no vineyards with larger berries nor smaller clusters,” said Soldera proudly of his fruit. The attention to detail in his vineyard management is truly stunning. Soldera has famously stated that he makes “natural wine.” Whether or not that’s the case is something I’ll leave that to the experts in the thorny field. He does seem to meet all the card-carrying members’s requirements: manual vineyard management, no chemicals in the vineyards, ambient yeasts in the cellar, no temperature control, lowest possible sulfuring. While I was in his presence a few weeks ago, he scolded one very famous winemaker in absentia for using cement vats for vinification, noting that wood is the natural vessel for winemaking. He also scolded another very famous winemaker for suggesting that it was okay to use a starter yeast when he had trouble initiating fermentation in his cellar. But is it natural, I wonder, to build a botanical garden using mountains of manure (however organically prepared) in a place abandoned by sharecroppers because nothing would grow there anymore? I’ve leave that one to the exegetic forces of the rebbes and erstwhile Talmudic scholars in our field. 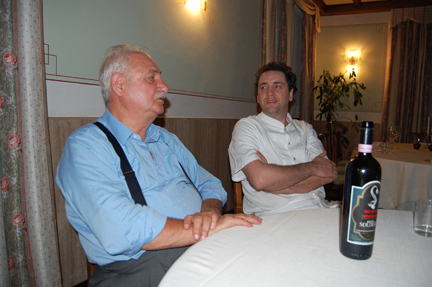 Above: Soldera with Roberto Rossi, chef/owner of Il Silene, arguably the best restaurant in southern Tuscany. The drive up to Seggiano is worth it if only to taste Roberto’s olive oil. The food and service were amazing. Our conversation spanned many generations of Italian winemaking the other day when I visited him and you can imagine the controversial topics we covered. But the thing that stuck with me was what he said when I asked him what he saw for the future of winemaking in Italy. “Commercial winemaking has come to an end in Italy,” he said referring to the recent Brunello controversy and rumors that the historic Barbi estate has plans to sell its property to Italian wine behemoth Zonin. “The nature of Italy cannot support industrial farming and commercial winemaking has run its course historically,” he told me. However many grains of salt there may be in the world according to Soldera, there’s certainly a grain of truth in this morsel of wisdom. 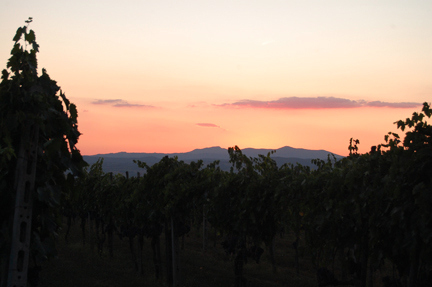 Above: Sunset at the Case Basse estate. Had the opportunity to chat and to taste some amazing wines with Gianfranco Soldera yesterday (but more on that later) and then was treated to dinner at what many consider the best restaurant in this neck of the Tuscan woods, Il Silene. Utterly delicious all around and a truly remarkable pairing (especially considering the balance in the wine from the otherwise-difficult-to-tame 2003 vintage). That’s chef Roberto Rossi’s snail and vegetable soup paired with 2003 Soldera Brunello di Montalcino Riserva. Above: One of the great maestri of Brunello Gianfranco Soldera and I tasted his wines together in September 2008 at his winery Case Basse in Montalcino (before Tracie B convinced me to go back to my au naturel hair style!). Photo by Ben Shapiro. In an hour-long documentary on the Orcia River Valley, recently aired on the national-television Sunday show Linea Verde (it’s worth watching the show, even if you don’t understand Italian, if only for the cinematic beauty of the Val d’Orcia), the presenter asked Brunello maestro Gianfranco Soldera to share his impressions of the recent controversy in Montalcino regarding producers who allegedly added disallowed grape varieties to their Brunello (which, by law, must be made with 100% Sangiovese grapes). Above: The clairvoyant Swami shared his wine predictions for 2010, including a real whopper for Tuscany. This morning, I couldn’t help but share Franco’s indignation at Suckling’s admittedly “less than earth-shattering” prediction, expressed in a post entitled, American Wine Writers: Luckily they’re not all like James Suckling. However ugly the recent controversy in Tuscany, it “needed to be done,” as Soldera pointed out. Everyone I’ve spoken to there (except for those implicated in the investigation) seems to share Soldera’s opinion. Of all the things to predict for Tuscany in 2010 (eclipsing the rest of Italy, btw), how about something like this? 1) The Val d’Orcia DOC will emerge as one of the coolest new expressions of Sangiovese. 2) Tastings of the 2007 harvest will reveal that Tuscany was blessed with one of the better vintages in recent memory. 3) The high-cost of barrique and the emerging trend against oak-laden, concentrated wines will lead more and more producers to make traditional-style wines using large-cask aging and less manipulation in the cellar. 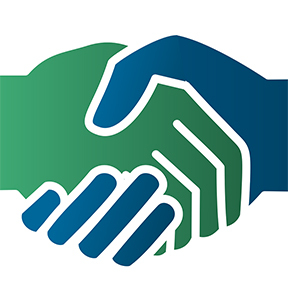 4) Thanks to more flexibility in labeling, the recently implemented EU Common Market Organisation reforms will allow Tuscan producers to regionally “brand” their international-style wines without encroaching on the Brunello and Chianti de facto trademarks.